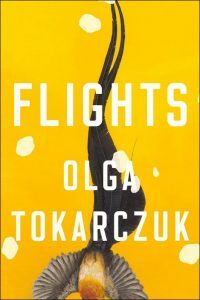 Polish author Olga Tokarczuk and American translator Jennifer Croft have won the 2018 Man Booker International Prize tonight (May 22) for Flights at a ceremony at London’s Victoria & Albert Museum. A total 108 titles were submitted this year. In winning the coveted award, the era-leaping Flights has made a 10-year jump of its own into a new chance for audiences to find it in English. “I’m surprised, to be honest,” Tokarczuk tells Publishing Perspectives from the reception in London. “I was convinced that the time for this book was past because it was published in Poland in 2008. In our work, you know, novels have very short lives. They’re living only for a few months and then new books come and other writers come. “I’m very happy because this book now has gained a new level as a universal story about traveling, about movement, about mobility,” she says. 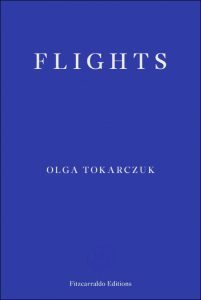 In the UK, Flights has been published by Fitzcarraldo Editions. And Penguin Random House’s Riverhead Books is to release the American edition on August 14, also in Croft’s translation. Tokarczuk said she hopes to be in the States in September in association with the release. As is the tradition of the Man Booker International Prize, the author and translator evenly divided the purse of £50,000 (US$67,171), and each also received £1,000 for being shortlisted, as well. This prize focuses solely on works in translation into English. It is given out by the Booker Foundation, now celebrating its 50th year, which also awards the Man Booker Prize for Fiction. The 56-year-old Tokarczuk is a native of Sulechow, Poland, and was the 2015 winner of the Brueckepreis, as well as a laureate of Warsaw’s highest literary honor, the Nike in 2009 for Flights. 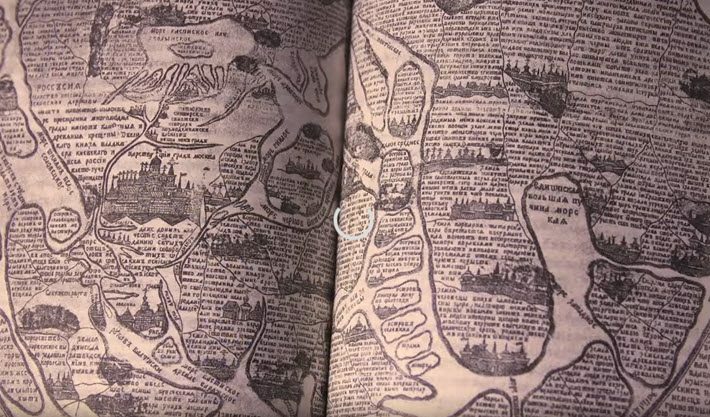 She co-hosts a small literary festival near her home in Lower Silesia in southern Poland, and she says that she sees this work as standing near the middle of her canon of eight novels so far. There are, to name a few, “the story of the real Dutch anatomist Philip Verheyen, who dissected and drew pictures of his own amputated leg, discovering the Achilles tendon. From the 18th century, there’s a North African-born slave turned Austrian courtier stuffed and put on display after his death in spite of his daughter’s ever more desperate protests, as well as the story of Chopin’s heart as it makes the covert journey from Paris to Warsaw, stored in a tightly sealed jar beneath his sister’s skirt. All of this, Tokarczuk said, means that “Nothing is obvious with this book,” making it long shot, in her opinion, for the prize she’s now celebrating. “I started looking for a new form for the novel,” she said, when she began work on Flights. “We’re living in such a crazy world that we need to redefine what a novel is for us. It’s impossible to tell the story” of the book “from beginning to end, in a linear way. “I started to think more about just jumping from one point to the other. It’s like opening the windows on your computer, you have so many spaces. Or it’s like turning on your television–there’s another metaphor–you can jump from one channel to another. Ironically, she says, the form she developed for Flights isn’t something she’s returned to since the release of the book a decade ago. “It’s funny, but no. But I still have this idea in my head for later on. But I had a signed agreement with my publishing house for just a [more traditional] novel. So that’s Drive Your Plow Through the Bones of the Dead, which will be translated soon by Antonia Lloyd-Jones. In addition to Tokarczuk’s The Books of Jacob, the translation of which Croft says she’s finishing soon, she’s also working on a collection of short stories by the Argentinian author Federico Falco. Jennifer Croft, 36, is American originally from Oklahoma. She’s the recipient of a Fulbright grant, and has received funding from PEN and the National Endowment for the Arts. She also has won the Michael Henry Heim Prize, and translates from Spanish and Ukrainian as well as from Polish. She lives in Los Angeles and is a founding editor of the Buenos Aires Review. “Olga and I are friends,” she says in a conversation from the Victoria & Albert after the awards ceremony, “and we also work independently. So I didn’t ask a lot of questions while I was translating Flights, but of course she saw the draft. In terms of the challenges of Flights, “The hardest part was also the best part,” Croft says, “and that’s that Olga is such an open and curious person. She never shies away from challenges, herself. And in the book, there are stories set in many far-flung places and in other times. Historical fiction isn’t something I’ve read much of, even though I have an MFA and a PhD in comparative literature” from the University of Iowa and Northwestern University, respectively. Croft says that for her, the passage named “Godzone” is the most compelling. It’s about a Polish woman who emigrated to New Zealand as a teenager but must now return to Poland in order to poison her terminally ill high-school sweetheart. In the jury’s rationale for selecting Tokarczuk’s and Croft’s Flights, Appignanesi–who announced the prize this evening–writes, “‘Our deliberations were hardly easy, since our shortlist was such a strong one. But I’m very pleased to say that we decided on the great Polish writer Olga Tokarczuk as our winner. 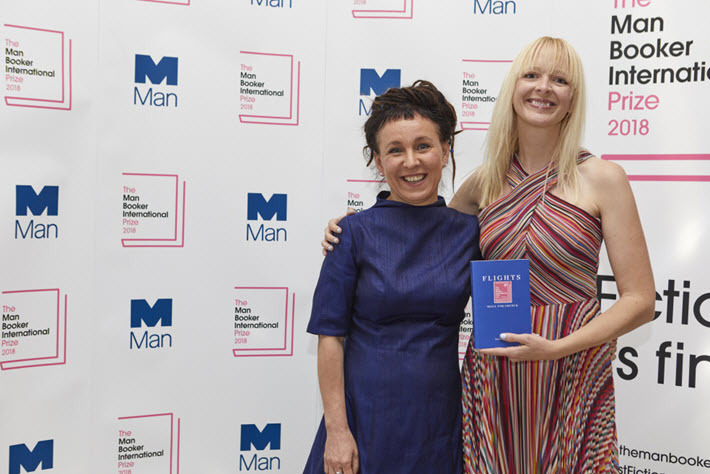 And in his prepared statement for the press, Man Group CEO Luke Ellis says, “Along with my colleagues at Man Group, I would like to congratulate Olga Tokarczuk and Jennifer Croft, as well as each of the shortlisted authors and translators. The Man Group is an active investment management firm that also sponsors the Man Booker Prize for Fiction. Below is a video produced by the Booker Foundation with comments from jurors about Flights. More of Publishing Perspectives’ coverage of the Man Booker International Prize is here.